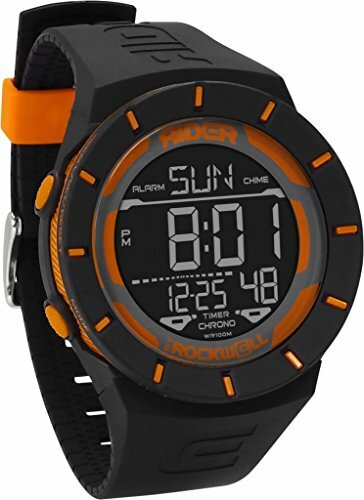 The Coliseum is a durable multifunction digital timepiece featuring: dual time zone, chronograph (with 50-lap memory), countdown timer, 8 alarms, and live step-counter / activity tracker. The Coliseum boasts unmatched styling and comfort, complimented by our unique, stadium-style double bezel to help protect the lens from dings and scratches. The Coliseum also offers a Cradle Fit bracelet with a proprietary Prismatic Cell dorsal texture for ultimate comfort and performance.